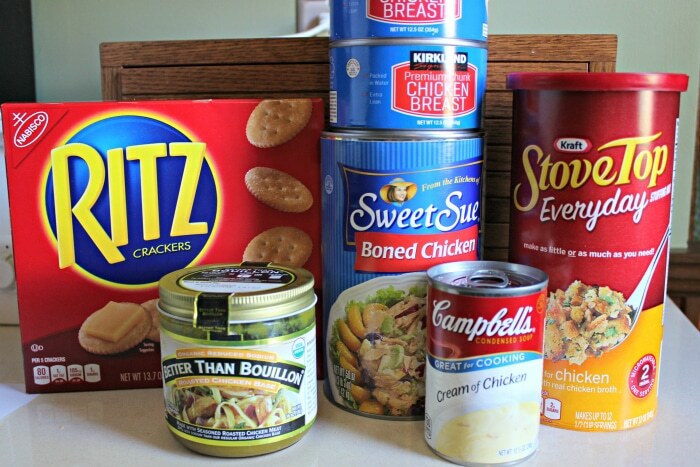 A shredded chicken sandwiches recipe that is made in the crockpot with stovetop stuffing and Ritz crackers. 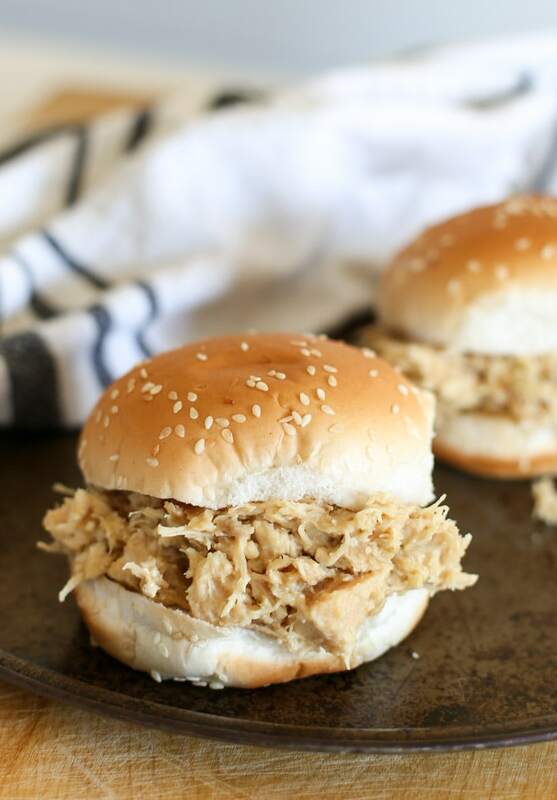 This classic Ohio shredded chicken sandwich recipe feeds a crowd! 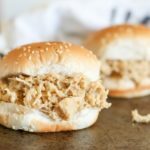 Are crockpot hot shredded chicken sandwiches a Northern thing? I’m not really sure about that. What I do know is that I grew up loving them. They are served at most pot luck functions. You’ll find them at most concession stands or ice cream stands in the summer. 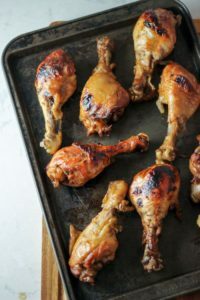 They’re super easy to make and delicious. 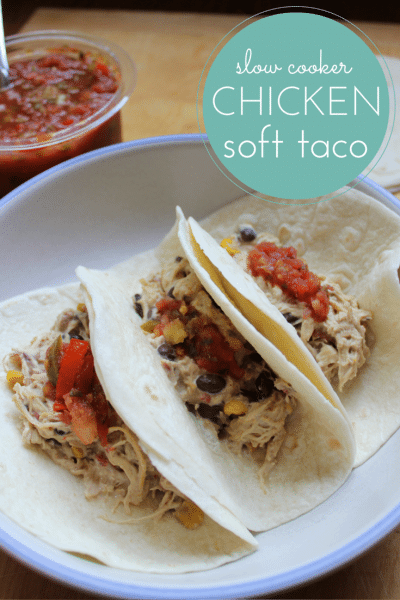 While shredded chicken sandwiches are a “go-to” type of big family function dinner idea around here, they can lack flavor if you’re not careful with which recipe you dive into. That’s why I wanted to share with you the recipe my mom uses. 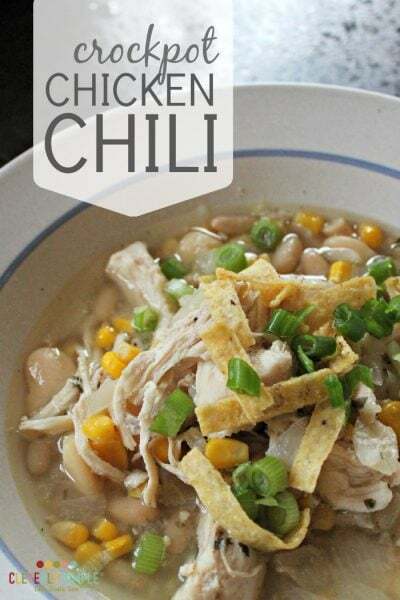 You can have it in the crockpot in about six minutes. And in four hours dinner is ready for a crowd! Serve it over your favorite sandwich buns and add pickle if you like. When it comes to the large can of boneless chicken, I buy the “boned chicken”. It’s cheaper than the all white meat. It looks like a bit of a mess in the can, but since these are shredded, it doesn’t really matter. If you prefer all white meat, go for it. It will just be a bit pricier. Once done, it’s ready to serve on buns. 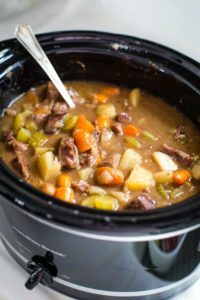 This crockpot full will make about 15 to 25 sandwiches depending on how full you make them. If you like your shredded chicken a bit runny like I do it’s perfect. If you like it more dry you can add more Ritz crackers and Stove Top to your liking. This recipe is perfect for a potluck. This is the crockpot I use to avoid spills. 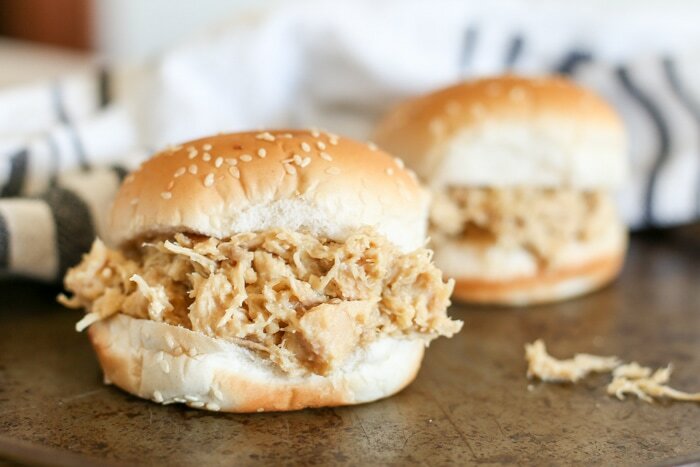 The next day you’ll have delicious shredded chicken sandwich leftovers! That is, if you have any left over. Enjoy! 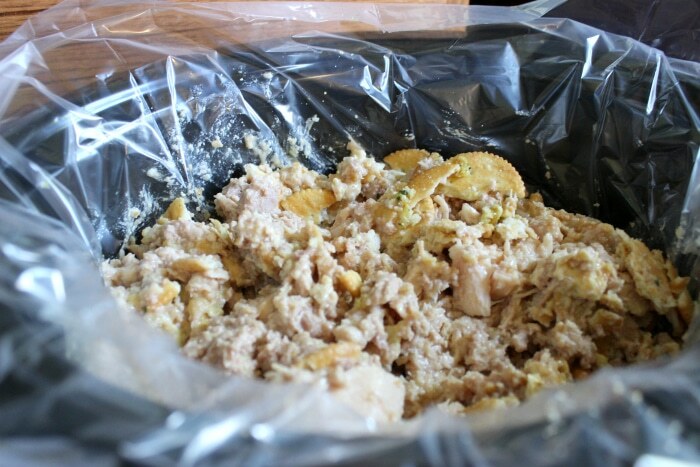 Shredded chicken sandwiches made in the crockpot using stovetop stuffing and Ritz crackers. This shredded chicken sandwich recipe feeds a crowd! 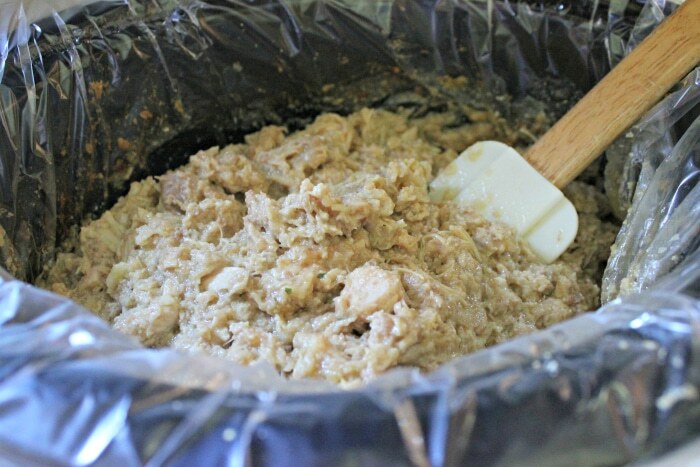 Line your crockpot with a slow cooker liner. Add all ingredients and stir until well incorporated. Cook on high for one hour. Continue cooking on low for at least 3 more hours. The stove top you need for this recipe is straight out of the box. Do not make it on the stovetop and then add it to the shredded chicken recipe. 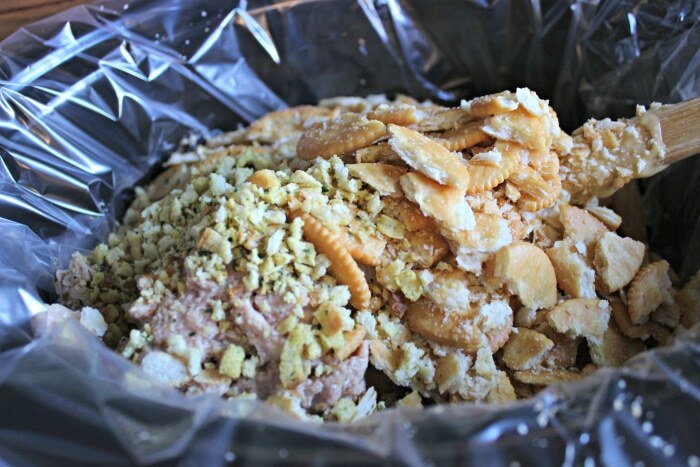 Instead, just measure out 1/4 cup of the dry stuffing mix. This makes approximately 25 sandwiches with a little more than 3 ounces of chicken per sandwich. Larger or smaller buns will adjust the number of sandwiches that this recipe produces. Are you able to freeze the left overs? Yes! I freeze the leftovers all the time. When reheating them I sometimes add a little chicken broth if it seems dry. But otherwise, they’re great after freezing.